Oil’s price hasn’t rebounded, but many features of the commodity’s performance suggest the bear is not in command of this market, Daryl Guppy writes. 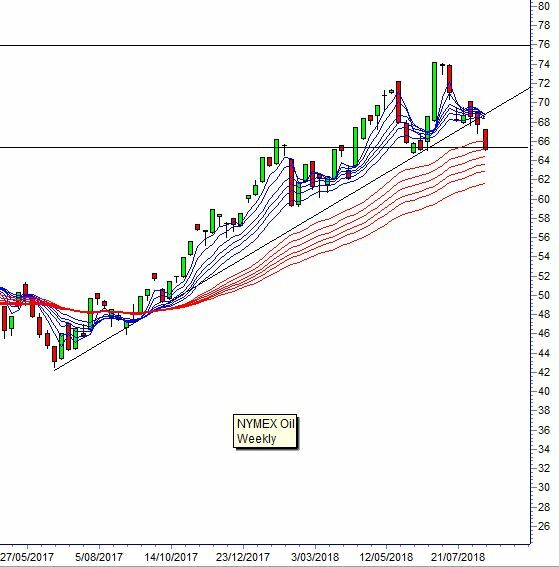 The longer-term trading band target for NYMEX oil is near $76, but that may take four or five months to be reached. The short answer is “yes,” but with the repeated caveat that traders need to wait for evidence of a rebound before taking a long position. The analysis holds because the technical structure of the NYMEX oil market remains the same. Daryl Guppy is a trader and author of Trend Trading, The 36 Strategies of the Chinese for Financial Traders, which can be found atwww.guppytraders.com. He is a regular guest on CNBC Asia Squawk Box. He is a speaker at trading conferences in China, Asia, Australia and Europe. He is a special consultant to AxiCorp. This entry was tagged ANTSYSS, China, NYMEX, NYMEX OIL, oil prices. Bookmark the permalink.